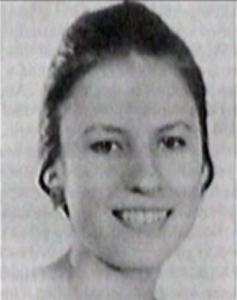 Probably one of the more famous modern cases is the sad tale of Anneliese Michel. Born on September 21, 1952, Michel was diagnosed with having temporal lobe epilepsy at the age of 16. Michel was a German Catholic who lived in Leiblfing, Bavaria, West Germany. Her family is said to have been very religious and apparently attended Mass at least twice a week. Not having familiarity with Catholicism I can’t say whether that represents a normal amount or an “extreme” amount. I do think its worth noting her and her family’s deeply held religious convictions. I believe these beliefs may have played a part in the events which would unfold in her life. Around the time that Michel had gone off to college, in the 70’s, she suffered a third seizure while at a hospital where she was being treated for tuberculosis. The picture gets a little fuzzy here, though an author( whose name I can’t seem to find on the site) wrote an extensive detailing this case which you should certainly check out here, has much more information than I could possibly provide. Instead I wish to give a thumbnail view of the major points. Upon her third seizure, Michel was treated with medications which seemed to not have an impact on her symptoms. Around this same time, she began to have severe depression. During these episodes of depression, Michel started to become intolerant towards religious items and reported hearing voices which spoke to her and began tormenting her. Doctors prescribed her medicine which would be used in the treatment for Schizophrenia, largely because auditory hallucinations are one of the hallmarks of Schizophrenia. Michel and her family believed that she was being targeted by demonic forces. The family sought out an exorcism from their local Priest. By all accounts, the Priests and local Bishops were extremely hesitant to perform the ancient ritual. I don’t wish to speculate too much, but it may be that the Priests were unconvinced that Michel was truly exhibiting demonic possession and not simply suffering from a mental illness. After much persistence, in 1975 two Priests finally relented and agreed to perform an exorcism. For a period of about 10 months, exorcisms were regularly performed on Michel. Her family stopped seeking medical treatment, instead relying solely on the ritual of exorcism to save their daughter. Eventually, Michel would stop eating and drinking, stating that the demons did not want her to. On June 1st 1976 Anneliese Michel died due to malnourishment and emaciation. Both her parents and the priests who performed the exorcism would later be charged with negligent homicide. 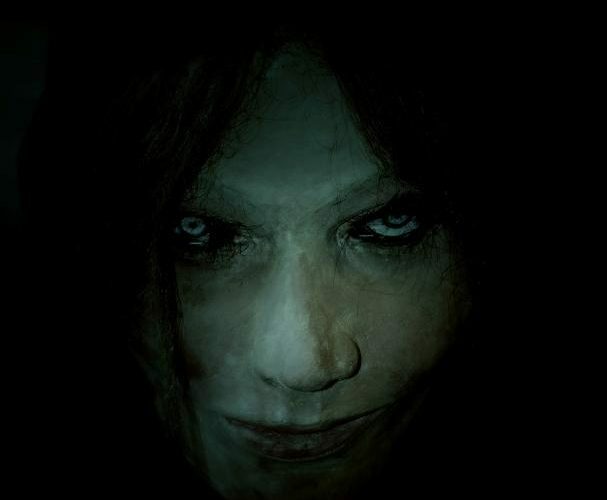 Her story would eventually be adapted into screenplay of a not so great “horror” movie in 2005 called The Exorcism of Emily Rose. To read more on the case, including the graphic images and disturbing recordings of the exorcisms, be sure to check out The Entire Case History of Anneliese Michel blog post. The Exorcist movie before. Although it would be hard for me to deny the cultural impact the film has had. Fortean Times just released their April issue which is all about Exorcisms and celebrates 40 years of The Exorcist movie. Besides it being a great film (allegedly), the movie probably stands out to many people because it is said to be based on a true story. The name “Roland Doe”, and later changed to “Robbie Mannheim”, are both pseudonyms for an anonymous Maryland boy who was said to have been possessed by demons and was apparently successfully exorcised. Roland’s story begins with the death of an Aunt, when he was around the age of 14 somewhere around 1949 or so. At this time, strange and unexplained phenomenon began occurring around the home. Objects began moving around the house, unusual noises were said to be heard throughout the hose. Honestly, it all sounds a lot like the child may have been experiencing poltergeist phenomena which fits in nicely with both his age and apparent emotional stress level. The family in this case appears to have been quite religious as well, which appears to be a common trait amongst those who are believed to experience demonic possession and subsequently request exorcisms. They turned to their Lutheran pastor, Rev. Luther Miles Schulze. The child had been examined by both medical and psychiatric doctors, according to what the Reverend told a local newspaper, and neither were able to offer an explanation as to what was happening to the child. It was determined that the best course of action would be to have an exorcism performed. This case takes us back in time a little to the early part of the 20th century. Born in 1882 in the Midwestern United States, Ecklund was (as our pattern suggests) raised as a devout Catholic. Around the age of 12 she began to display the signs of “possession”, which included the usual aversion to religious icons. It also included what’s referred to as “disturbing thoughts about sexual acts”, which seems fairly normal to me for a teenager but I digress. It’s reported that Ecklund had her first exorcism about this time which was performed by Father Theophilus Riesinger. This exorcism was supposed to have been quite effective. However, around the age of 14, Ecklund was “cursed” by her Father ( an account of which I can’t find, but I can’t imagine what the circumstances were behind this event or what it would have done to her mental state). Because of this curse, Ecklund is supposed to have been possessed by a multitude of demons, chief among them Beelzebub. Rosemary Ellen Guiley tells of this story in her book, The Encyclopedia of Demons & Demonology. It wasn’t until 1928 that Ecklund would be exorcised a final, and apparently successful, time. Why it took until she was 46 before an exorcism was again performed is a mystery to me. During the exorcism many strange feats were supposed to have manifested themselves. Ecklund was said to have levitated and stuck to the wall above the door, at other times her body would become as heavy as lead threatening to break the bed she was in, and she was said to have been able to expose the sins of those who were present around her. After many long days and nights, Father Theophilus Riesinger was able to free Ecklund from her demonic possession. If you wish to read more on this case I suggest reading Martha Decker’s write up about the case.